ZTE and Virgin Media announce the arrival of the hotly anticipated ZTE Blade Q series in the UK. 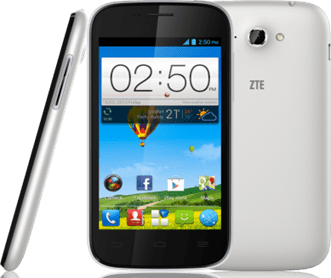 The 4’’ ZTE Blade Q Mini, which is available exclusively with Virgin Media, has been snapped up by leading retailers Sainsbury’s and Argos and will be available to purchase initially from Argos for £59.99. ZTE have been quite busy releasing new devices recently and this new Blade Q Mini promises to deliver better specs for a bargain price. Howerver, with just 4GB of internal memory you’ll definitely want to invest in a MicroSD memory card. You can see the full press release below and we hope to have some hands-on time with the ZTE Blade Q Mini soon.